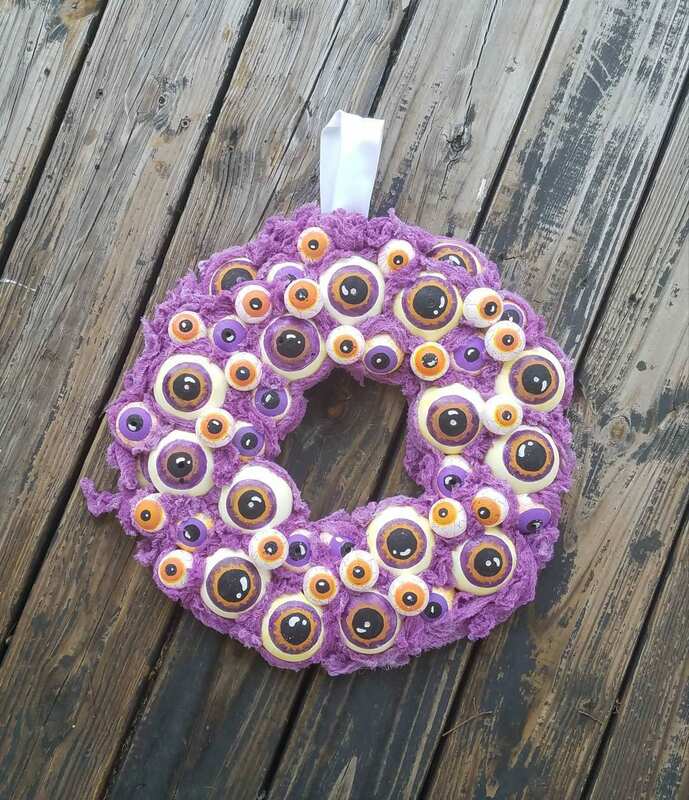 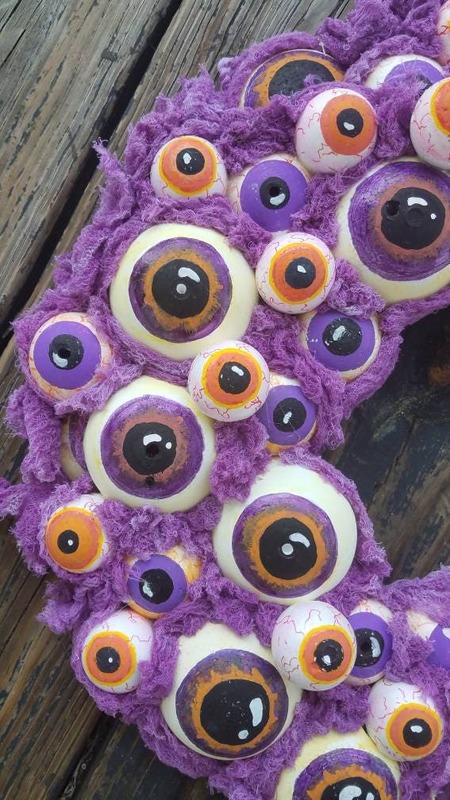 Our fuzzy eyeball wreath is perfect "eye-catching" door decor for Halloween. 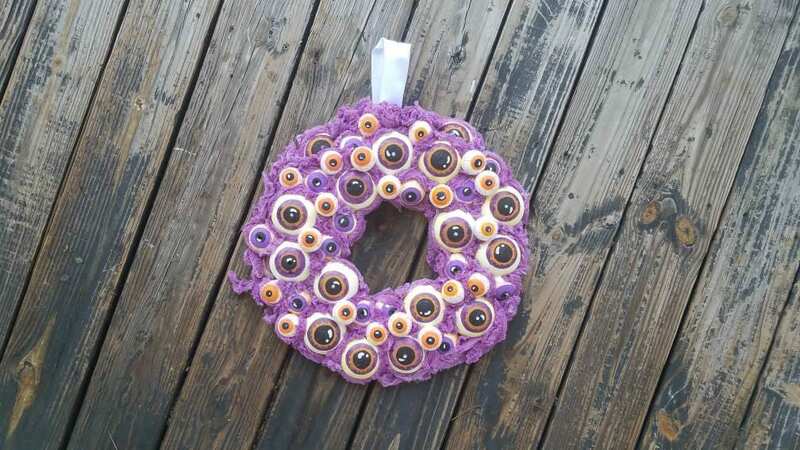 Each eyeball is hand painted then attached to wreath base. 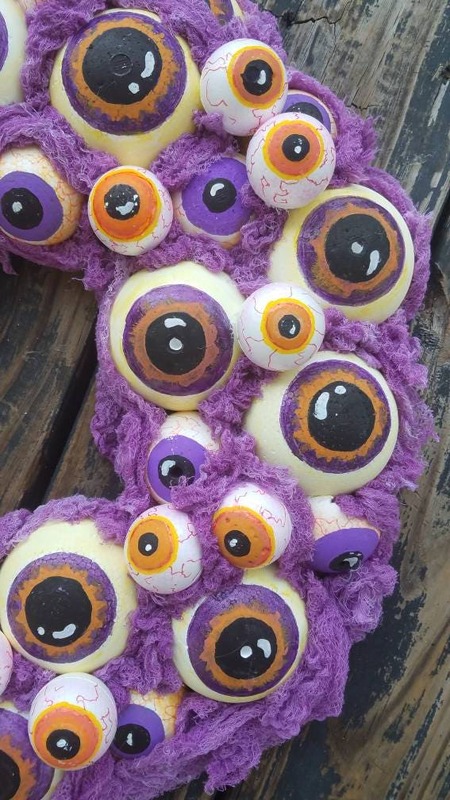 There are several different sizes of eyeballs in purple and orange. 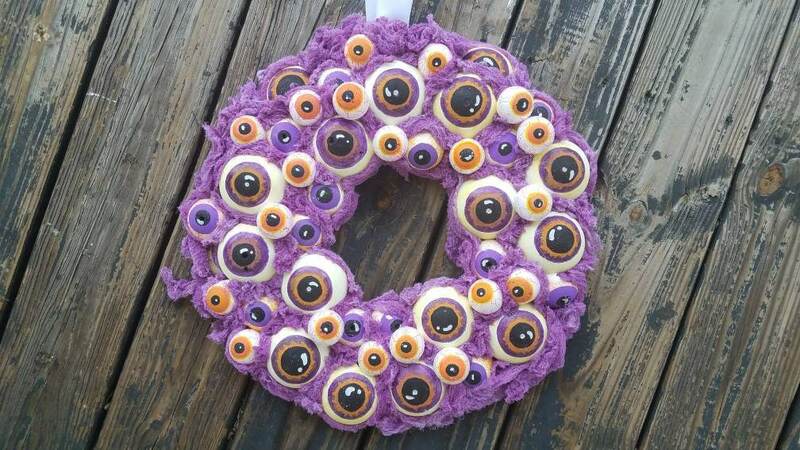 The wreath is approximately 18 inches in diameter.